Longeveron LLC, a biopharmaceutical company that develops stem cell therapies for aging-related diseases, has been awarded a $3.8 million Small Business Innovation Research (SBIR) grant from the National Institute of Health (NIH) for its research to develop stem cell therapies for Aging Frailty. 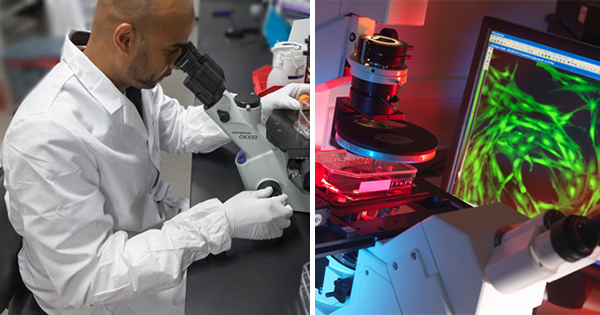 The NIH SBIR program funds early-stage health and life science companies creating innovative biomedical technologies. "We are very excited to receive this recognition from the NIH and to apply the grant to the clinical research of our Mesenchymal Stem Cells (MSCs) as treatment for Aging Frailty. There is growing awareness in the geriatric community to diagnose and treat this condition, as it is not an inevitable consequence of aging. We believe a biologically-driven cell-based therapy could have a major beneficial impact," said Joshua Hare, M.D., Longeveron Co-Founder and Chief Science Officer. "With the aging of the United States population, Aging Frailty is a growing clinical and public health problem, requiring novel ways to avert this condition. Treatment with MSCs is a potentially highly promising approach," said Marco Pahor, M.D., director of the University of Florida Institute on Aging, and site Principal Investigator at the University of Florida for Longeveron's Phase 2B Aging Frailty trial. "Frailty is highly prevalent among older veterans. Research has shown that this condition is associated with significant disability, healthcare utilization, morbidity, and mortality in older adults. Stem cell therapies represent a significant advance in reducing the burden of frailty in our veteran population," said Jorge G. Ruiz, M.D., F.A.C.P., Associate Director for Clinical Affairs, Geriatric Research, Miami Veteran's Administration Medical Center, which is also a Phase 2B Aging Frailty trial site. Longeveron's MSC product is derived from the bone marrow of young, healthy adult donors. In 2017, Longeveron published positive Phase I and Phase 2 clinical studies in the Journals of Gerontology that evaluated the safety and efficacy of its Mesenchymal Stem Cells in patients with Aging Frailty. The company is now recruiting for an expanded Phase 2b Aging Frailty study. Longeveron is also recruiting for a Phase 1 Alzheimer's trial, and Phase 1 and 2 trials to evaluate the safety and efficacy of its stem cells for improving flu vaccine immune response in Aging Frailty patients. "The pathophysiology of Aging Frailty includes increased inflammation that can promote systemic tissue damage. Mesenchymal stem cells have potent anti-inflammatory and pro-regenerative properties, and have the potential to meet a great unmet medical need by directly addressing the biology of aging," Dr. Hare said.